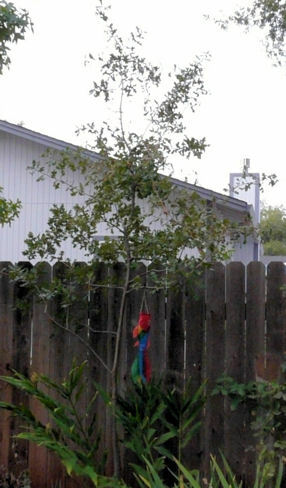 Someone asked on a message board about how to transplant an oak tree. Here is my answer, with what worked for me and some added photos. Is this a deciduous (fall leaf dropping) or live oak? 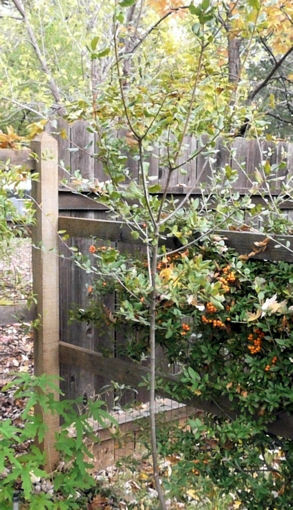 A 3-4′ tall oak may have too deep and extensive a root system to dig up and move successfully, but if it is in a raised flower bed with loose soil you might be able to get most of it’s roots out. You may find that the roots of the 2 trees are very intertwined, and that you could damage both trees in removing the oak. That said- yes, it is possible to move oaks when they are small enough. I’ve found live oaks to be hardier than deciduous oaks when moved. The best time of year to try this is in the fall after leaves are off and/or trees are entering ‘dormancy’. (‘Dormancy’ is an interesting term, as this is when the roots start to really develop in the winter here.) So (as in spiritual matters) this is a good ‘in-between’ time to move trees. 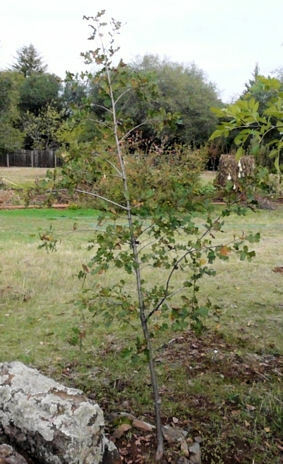 I’ve successfully moved several oaks at about the 2′ height in heavy clay loam and rocky soils, with about a 50% success rate. So it can be done- it just may not succeed. If you see small seedlings in the spring you can move them to another area then. Also, ‘asking’ the oak if it approves of the new location will help. I find a close connection to the new oaks that I have saved from areas where they must be removed, and it’s actually a fun way to learn about more about them. I hope this helps.